Cushion has always lived on the web, so in order to see your status week-to-week, you would need to log in. This is no longer the case. In a first step towards extending Cushion’s reach beyond the web, I’d like to introduce weekly summaries! In the Preferences, you will now see a section called, “Summary Emails”. Here you can select the checkbox next to “Weekly” to start receiving weekly summaries. You can also see a preview of your summary for the previous week. 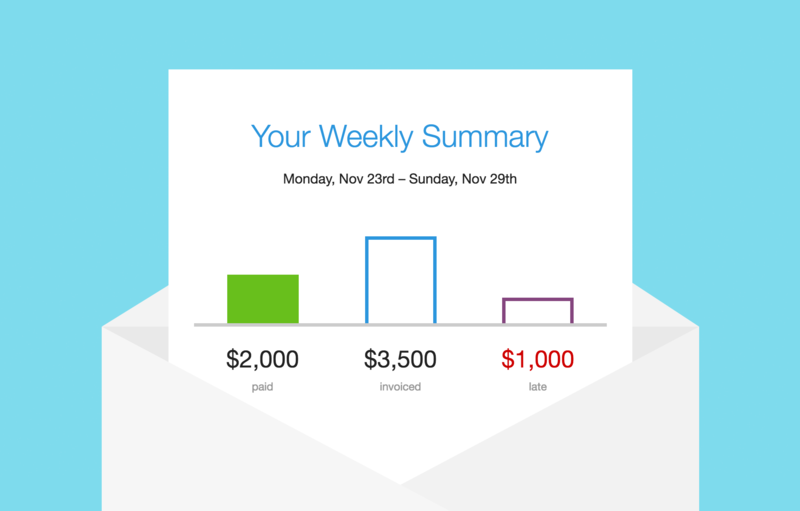 Your weekly summary shows a graph of your paid, invoiced, and late amounts for the week. If you use multiple currencies, you will see a graph for each currency. Apologies in advance for the uncharacteristic font—email apps don’t play nicely with the webfonts that Cushion uses. Below the graph, you will see two tables. 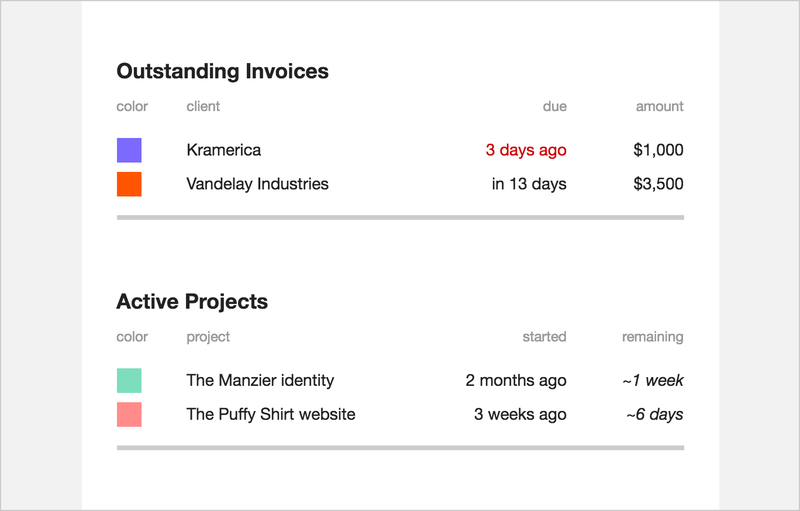 The first is a list of your outstanding invoices, including the client, due date, and amount. If an invoice is late, its due date will be colored red. The other table is a list of your active projects, including the name, relative start date, and time remaining on the project. Along with weekly summaries, we have plans for monthly, quarterly, and yearly summaries, too. These will include other useful insights, like comparisons to the previous time period and the same time period last year. Yearly summaries will essentially be your annual report, including client rankings and the results of reaching your financial goal. Stay tuned!